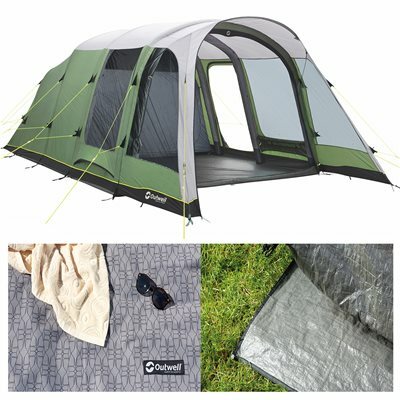 Sleeping five in a three-room tunnel tent design, the Broadlands 5A is ideal for families and friends. A deep front canopy with large side windows offers outdoor space in shade for relaxing and eating or storage. Ample all-round ventilation, steep front and sidewalls, side door plus the many windows to the front and sides ensure an airy feel inside.